After Hurricane Zelda has wiped out New York, a handful of stragglers try to survive. Sabrina Schrader has always had body image issues. Growing up in a hoarder’s household, she dealt with the stress by comfort eating and getting bigger and bigger. Now an adult, she goes home during the holidays to help her mother with an annual cleanup. Something strange happens there, though, and Sabrina starts dropping weight rapidly with hardly any work on her part. Now she has the perfect body—the only problem is the new diet she craves. A zombie coloring book adventure for ghoulish hacks to color and chillax! The zombie apocalypse has come to New York City, but that won’t keep the Scheiner sisters down! They’re on a mission to make their dinner party dreams come true, or die trying!!! It’s a hilarious bucket of giggles and guts, perfect for all you horror nuts!!! 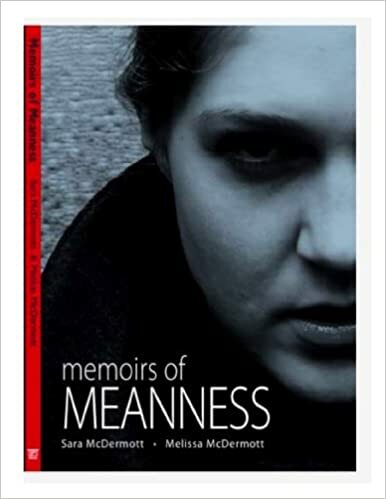 Memoirs of Meanness will make you laugh one minute and break your heart the next. In this utterly relatable collection of both fiction and nonfiction, professional writers and high school students alike open up about their experiences with both being mean and being other people’s targets. The result: an intensely personal look at how mean behavior evolves throughout our lives.